It’s a great change that’s been a long time coming, but it’s finally here. With the Rd. 1 call at the 2009 Rip Curl Pro Bells Beach about to be made, we finally get to watch a webcast without having to sit through the typically unexciting and anti-climatic loser’s round that has been Rd. 2. The Bells Beach event will be the first ASP World Tour event to switch to the new format, essential eliminating a full day’s worth of competition and keeping the opening round of momentum rolling on with less chance of interruption. The top 16 surfers from last year’s final rankings won’t surf until the new Rd. 2, and from there it goes Rd. 3 and on to the quarterfinals, semi’s, and finals. In the grand scheme of things, the historic event at Bells serves as a good barometer for what’s likely to take place on tour for the rest of the year. While the Quiksilver Pro at Snapper is a solid place for a surfer to launch a run for a world title, following up a stellar result on the Gold Coast with a poor showing at Bells kind of puts you back at square 1. Quik Pro. winner Joel Parkinson knows this, and following his 2 day long celebration of his win at Snapper, Parko got back to his ‘man on a mission’ surfing regimen. “After the Quik Pro, I spent two days partying with my family and friends, then got straight in to training the following week and for the last week or so I have been surfing non stop,” Parkinson said. Rd. 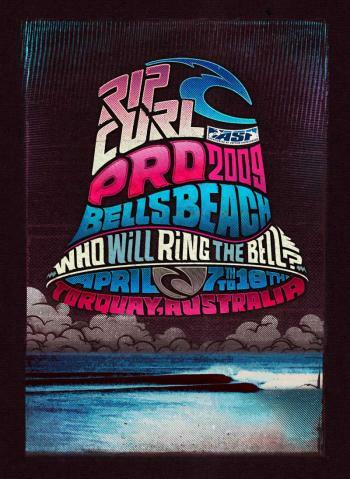 1 of the 2009 Rip Curl Pro Bells Beach is on it’s way, you can catch all of the action HERE. Rip Curl H-Bomb Wetsuit: Is it Really Worth a Cool Grand? Apparent yes, or at least says Surfing Mag’s Editor Evan Slater, who just put up a review of Rip Curl’s battery powered wetsuit. “The button on your leg gives you three heating options: low, high or “boost.” For the really frigid stuff. But just to be a wimp, I kept it on “boost” the whole time. The carbon-fiber coils in my back roared to life, I stayed warm and loose (like I had a little campfire in my suit) and – even though the surf sucked – I kept telling myself “one more.”"
Ok, so as expected, the suit works. And it’s easy for Evan to love it, considering he didn’t have to plunk down the cash for it. I think the bigger question is- is it really worth it to spend over a grand on a wetsuit? I guess that comes down to the individual. For me personally, the answer is no. But I don’t have an extra G burning a hole in my pocket either. I’m a wuss when it comes to cold water too, and I admit that I would be nice to have a wetsuit that I could just turn up the dial on every time I get a little chilly. But for now, my 4/3 seems to be doing just fine on those really cold days. 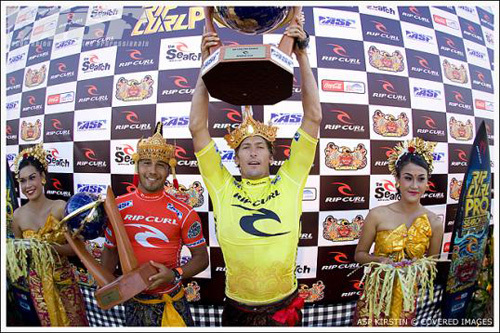 It probably wasn’t the best time for Rip Curl to be dropping the H-Bomb, considering the economy and all. But I suppose that’s not something they could have predicted. While I won’t be rushing out to buy an H-Bomb anytime soon. If you guys over at Rip Curl want to send me one, I’ll be more than happy to review it. The long waited arrival of the opportunity to get your mits on the world’s first powerheated wetsuit is almost over. Just days before the Quiksilver Pro France holding period is set to open, Rip Curl is officially launching their highly anticipated H-Bomb wetsuit in Hossegor at the Rip Curl Pro Store. The H-Bomb has been in the works and has undergone heavy amounts of testing for quite some time now. It was actually slated to first drop in stores last fall but was put on hold in order for Rip Curl to make sure they had it just right. 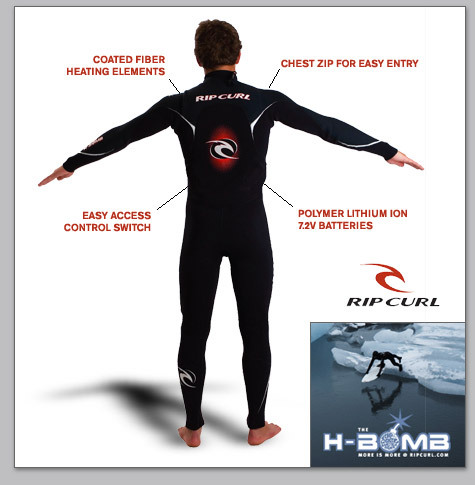 Rip Curl is using their revolutionary E3 neoprene for the suits which will have three different temperature settings that can be adjusted with a button located on its outer surface. 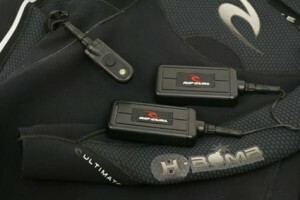 The idea for the H-Bomb is simple; keep you warm and maintain flexibility even when surfing in the nastiest of cold-water conditions. As is the case with most revolutionary products when first released, anyone wanting to snag one of these bad-boys in time for winter is looking at a pretty hefty price tag. The coming-out price for the H-Bomb is currently set at roughly $1400. It will definitely be interesting to see just how well these sell with such a large asking price from Rip Curl. I guess for some who have the money and regularly surf in bitter-cold conditions it might be worth it. I think for now though I’ll be sticking to my natural heater whenever I need that little burst of warmth. We’ve criticized Rip Curl’s webcasts in the past, back at the Rip Curl Pro Bell’s Beach for being somewhat lackluster. Now, we’re sitting here trying to watch the best action we’ve seen on tour this year, and they can’t seem to keep the webcast up. It keeps freezing. You literally can’t watch any of the surfing happening right now at the Rip Curl Pro Search in perfect Indo. Hopes that the abandoned fishing trawler that was shipwrecked on the reef of Bali’s Padang Padang last Friday would be moved before the arrival of a solid incoming swell are quickly fading. A small group of local fishing boats failed on Thursday to pull the Taiwanese fishing boat off the Padang-Padang reef ahead of the expected big swell which was already showing pulses on Friday. With the swell expected to reach 10 feet on Sunday, the fear that the ship will batter the reef and break apart could quickly become a reality. There is already a heavy amount of cable, knives, fish hooks, and all sorts of other waste that have found their way into the water at Padang Padang. None of that, however, will compare to the irreparable damage that could come from the ship being tossed around and breaking apart. Aside from the obvious environmental issues this is causing, the heads at Rip Curl will have some interesting decisions to make as the upcoming Rip Curl Pro Search is scheduled to take place here July 30-Aug. 10. With the ASP having a choice between Uluwatu’s and Padang Padang for the contest, it’s looking more and more likely, barring some unforeseen miracle, that Uluwatu will be the call for this one. A special thanks goes out to all those who have donated so much of their time, money , and hard work to minimize the damage at Padang Padang. Stay tuned for more info. As I watched Tiger Woods pull off yet another amazing victory on the PGA Tour yesterday, I started thinking about what the tournaments are like when he isn’t playing. There are still great players playing great golf, but it just isn’t the same and everyone knows it. 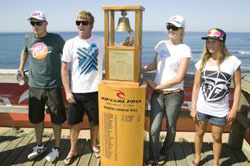 It is for this reason that Kelly’s recent decision to participate in the 2008 Rip Curl Pro Bells Beach should bring smiles to the faces of the surfing world and fellow competitors alike. 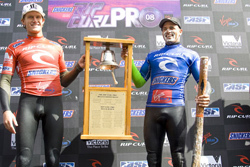 Despite winning the first event of the year at Snapper Rocks, Slater remained uncertain as to whether or not he would attend the Rip Curl Pro. After 14 years on tour, the 8-time ASP World Champion has been adamant that he will compete selectively in 2008 in order to pursue other interests. 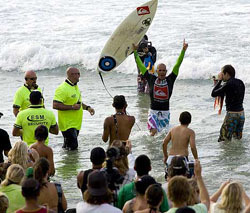 Slater even went as far as to call and officially withdraw his name from the event. Thats when Mother Nature came through. When told of the stellar forecast for the event Slater reconsidered. He stated the combination of world-class waves and pleas of many helped in his decision to show up, and we are all better off for that. There were some pretty strong responses about wanting to see me there. So that, the swell, and some changes in my personal life and suddenly it was perfect timing for me to get away. All the signs pointed this direction so it seemed like the thing to do.